The last few seasons have seen Manchester City, Chelsea, Liverpool, Manchester United, Arsenal and Tottenham Hotspur pull clear of the rest of the Premier League. Last season, the gap between sixth and seventh place stood at nine points, a slight increase on the eight from 2016/17. Heading into last weekend’s FA Cup fixtures, a massive 11 points separated Manchester United in sixth spot from Watford in seventh. It has been a similar story in the FA Cup, where Chelsea, Tottenham, Manchester City and Arsenal made up the final four in 2016/17, followed by Chelsea, Manchester United, Tottenham and Southampton the subsequent season. The concentration of quality and finance in the hands of the big six has only increased in recent years, and it would now be a surprise if one of the domestic cups – let alone the Premier League – was won by a team from outside the dominant group. Having said that, this season’s FA Cup looks set to be different. 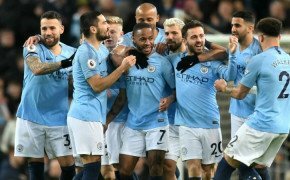 Granted, Premier League champions Manchester City have encountered few difficulties thus far, thrashing Rotherham United 7-0 in the third round before demolishing Burnley 5-0 last time out. Chelsea have also had things rather comfortably so far, dismissing Championship outfits Nottingham Forest and Sheffield Wednesday with relative ease, while Manchester United are safely through to the sixth round thanks to triumphs over Reading and Arsenal. The Gunners are not the only member of the big six to have fallen by the wayside, though. Liverpool were knocked out by Wolverhampton Wanderers at the start of January, while Spurs were on the wrong end of a 2-0 loss to Crystal Palace last Sunday. 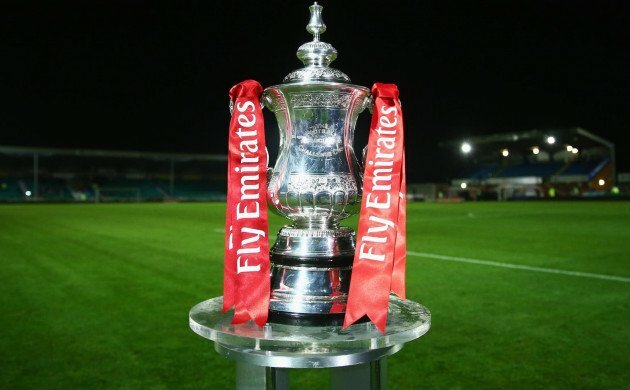 The fifth-round draw, held a day later, was also kind to those teams outside the Premier League’s foremost sextet: while Manchester City will fancy their chances of another comfortable afternoon against either Middlesbrough or Newport County, only one of Manchester United or Chelsea will be in the last eight after the finalists from 2017/18 were paired together in the sixth round. The divisions below the top flight are guaranteed at least two quarter-finalists after Wimbledon vs Millwall and Swansea vs Barnet or Brentford were pulled out of the hat. There is a real opportunity, too, for Crystal Palace, drawn away to League One Doncaster, while the winners of the Portsmouth vs Queen Park Rangers replay will hold no fear when they welcome Watford to their home ground. One of Brighton and Hove Albion, West Bromwich Albion and Derby County will also be among the eight teams left standing after the next round of fixtures, as will either Wolves, Shrewsbury Town or Bristol City. Even if the bookmakers’ favourites win all eight ties, the quarter-finals will feature only four teams from the top half of the Premier League. It is, of course, still likely that one of the big boys – Chelsea, Manchester United or Manchester City – will ultimately lift the trophy at Wembley in May, but it is pleasing to see a host of other sides have a sniff of an appearance at the national stadium for the semi-finals.